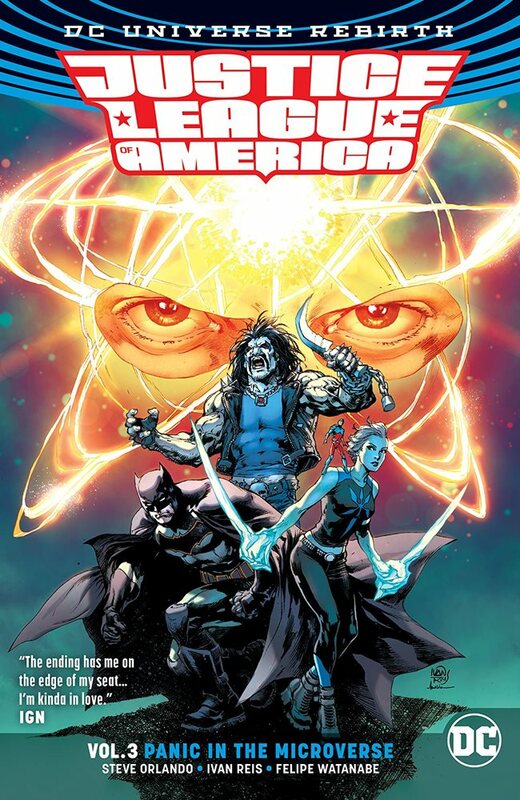 Finishing the story that began in DC Universe: Rebirth, acclaimed writer Steve Orlando (Midnighter, Supergirl), artists Ivan Reis (Justice League), Felipe Watanabe (Cyborg) and more take the JLA to a world like no other in Justice League of America Vol. 3: Panic in the Microverse! Batman, Killer Frost and Lobo join Ryan Choi, the JLA's Atom, on a size-shifting mission to find Choi's missing mentor, Ray Palmer. The previous Atom vanished while exploring his greatest discovery—the Microverse. Far, far smaller than modern science has explored before, the Microverse makes up the foundation on which the atoms of our world are built. Though tiny, the Microverse is vast, dangerous and almost completely unexplored. The League must navigate a bizarre and dangerous subatomic world of warring factions, deadly threats and hidden agendas, all leading to the Ignition Point. This fracture in the fabric of the Microverse, if left unchecked, could spread to destroy all reality! Meanwhile, back on Earth, Vixen, Black Canary and the Ray continue their long battle against the Might Beyond the Mirror, as well as the mysterious villain Afterthought!